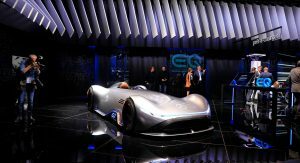 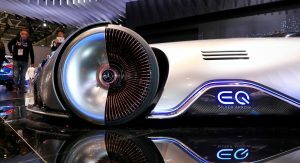 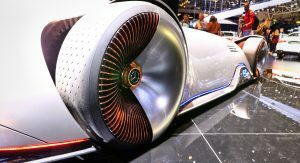 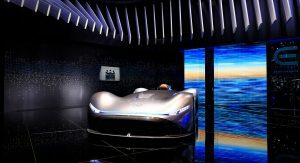 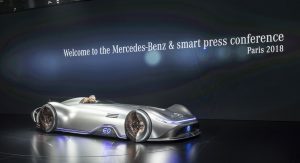 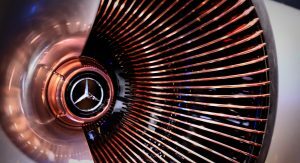 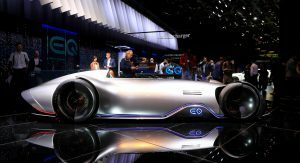 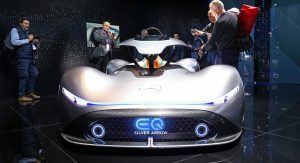 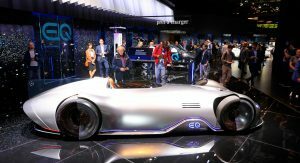 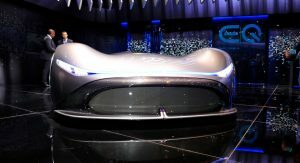 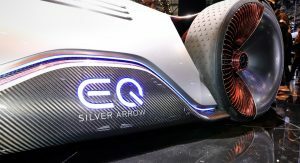 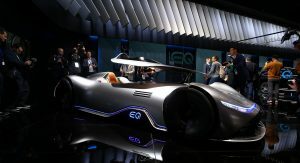 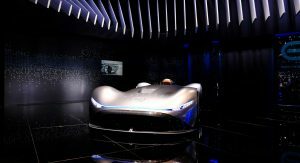 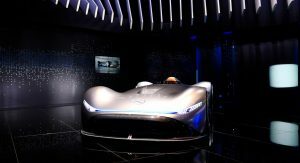 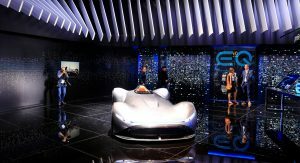 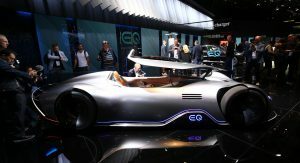 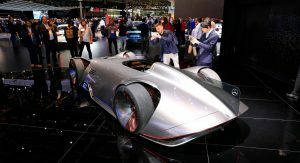 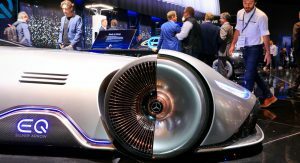 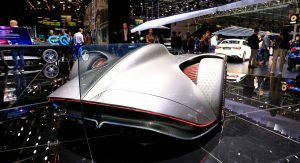 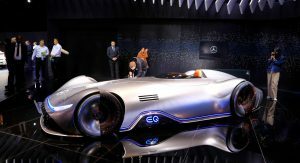 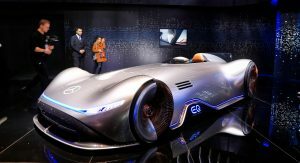 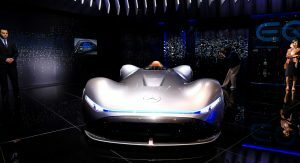 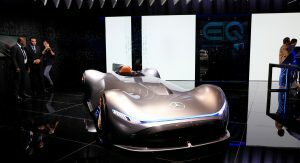 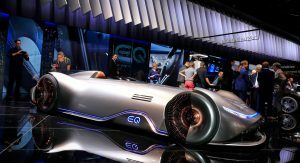 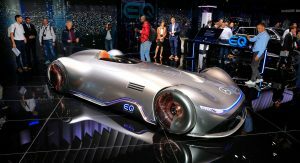 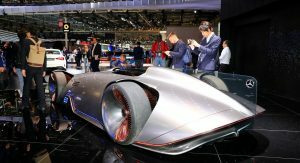 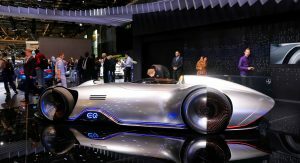 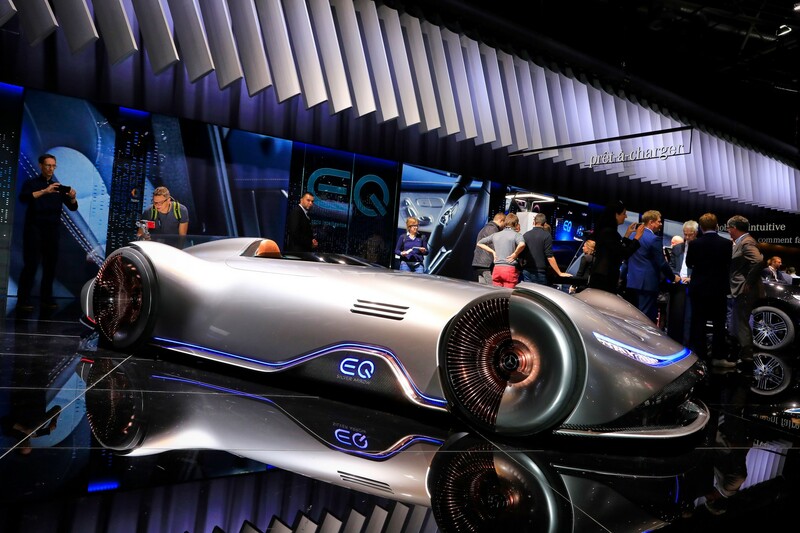 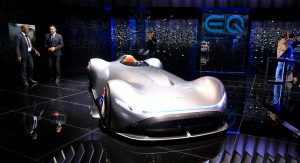 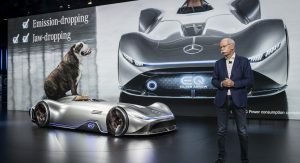 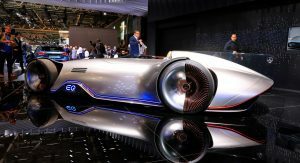 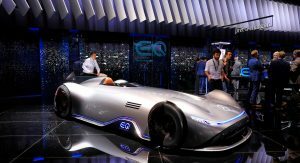 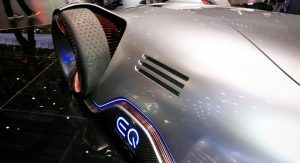 The Mercedes EQC was the company’s most important electric vehicle at the Paris Motor Show, but it hardly stood out next to the Vision EQ Silver Arrow concept. 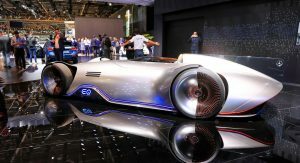 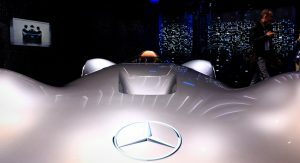 Originally unveiled during Monterey Car Week, the Silver Arrow concept pays tribute to the 1937 W125 which averaged 268.8 mph (432.7 km/h) traveling between Frankfurt and Darmstadt. 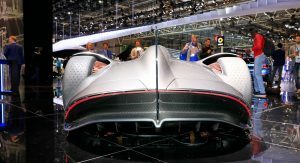 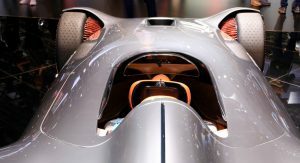 The car was so fast that its speed record on public roads wasn’t broken until the Koenigsegg Agera RS topped it last November. 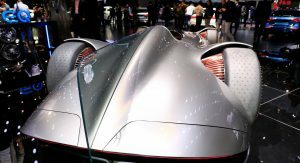 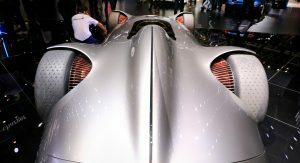 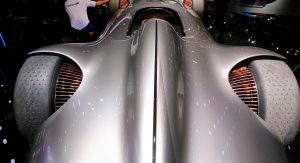 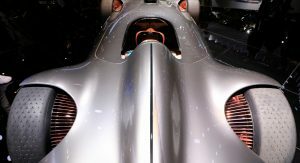 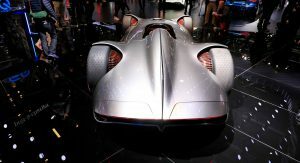 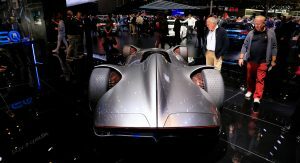 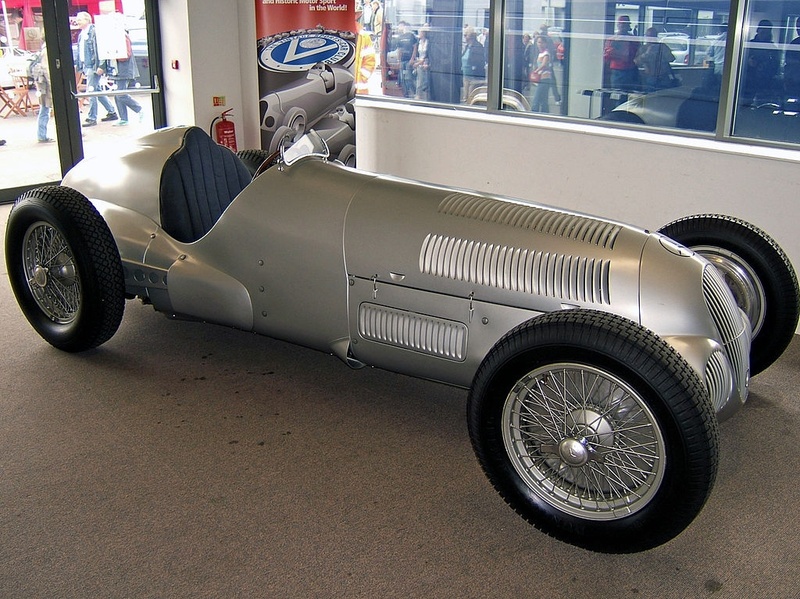 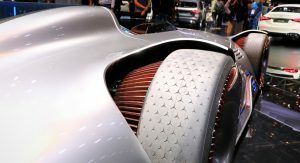 While the original car featured a twelve-cylinder engine, the Silver Arrow concept is another beast entirely. 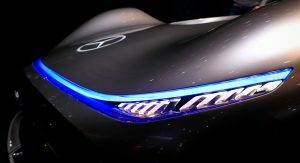 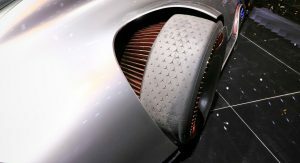 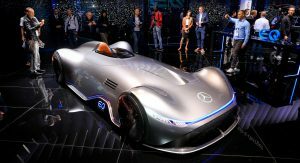 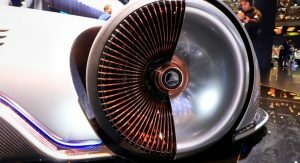 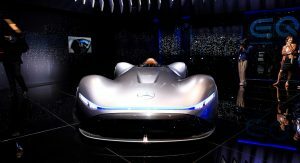 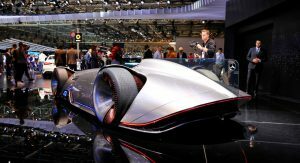 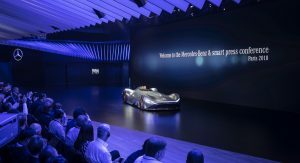 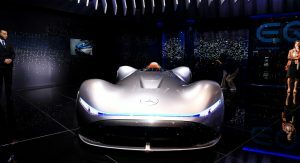 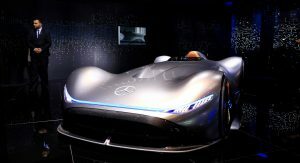 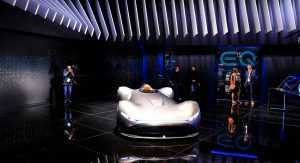 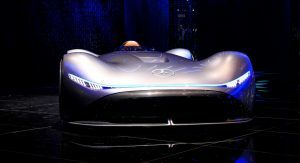 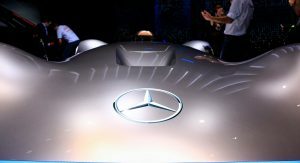 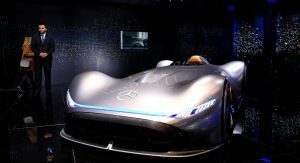 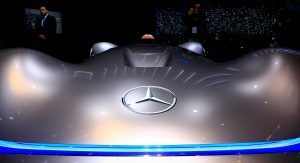 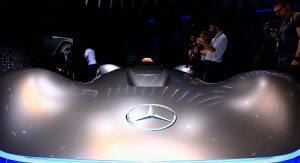 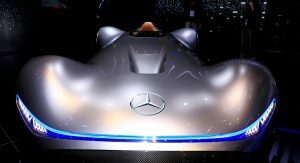 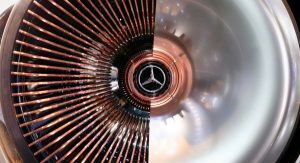 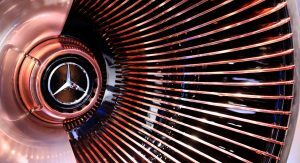 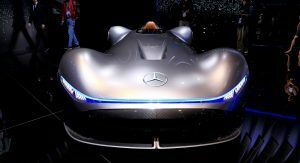 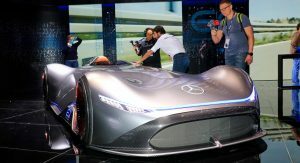 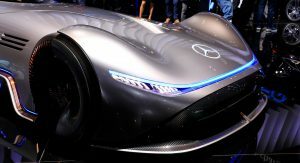 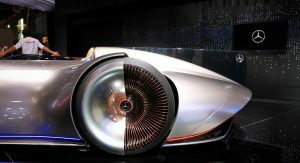 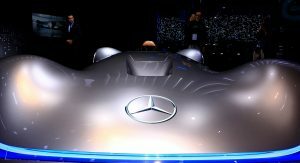 Mercedes hasn’t released detailed specifications, but the car has an electric powertrain that produces 740 hp (550 kW / 750 PS). 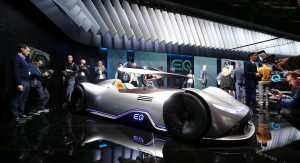 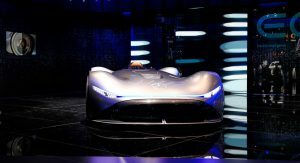 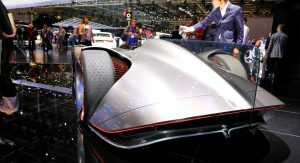 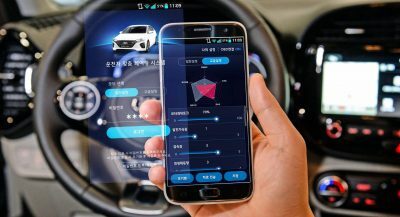 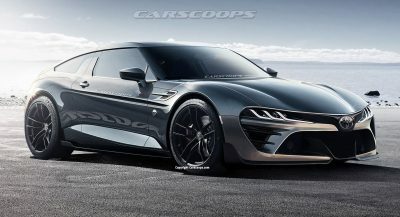 Powered by a roughly 80 kWh battery pack, the model can travel more than 248 miles (400 km) on a single charge according to the Worldwide Harmonized Light Vehicle Test Procedure. 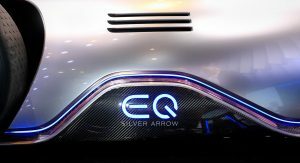 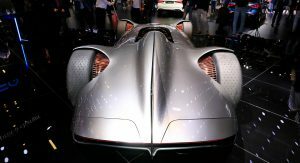 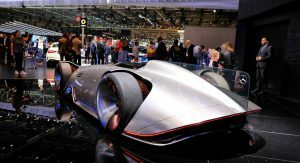 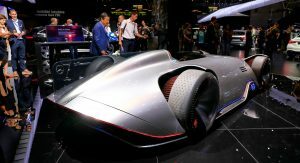 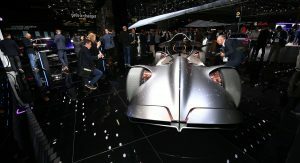 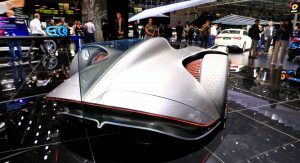 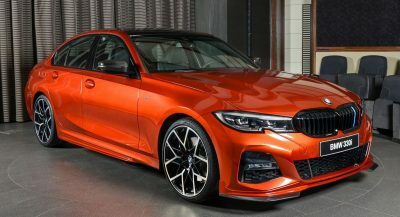 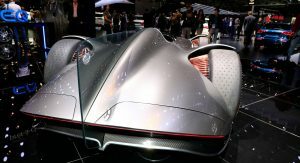 Despite the high-tech powertrain, the concept embraces old school styling and features an alubeam silver exterior which is reminiscent of the silver arrows from the 1930’s. 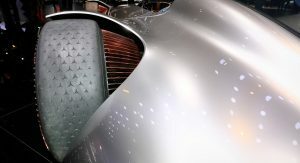 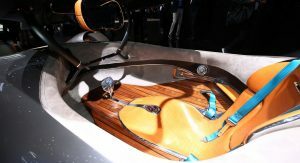 The single seater also has a carbon fiber front splitter, LED lighting units and massive aluminum wheels which each feature 168 spokes that are painted rose gold. 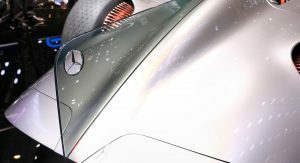 Speaking of the wheels, Mercedes worked with Pirelli to develop a bespoke tread which has a star pattern. 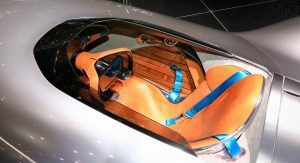 The unique styling continues in the cockpit as there’s a brown leather seat with a blue four-point harness. 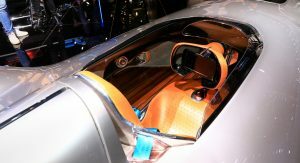 The model also has a solid walnut floor, polished aluminum trim and suede grey accents. 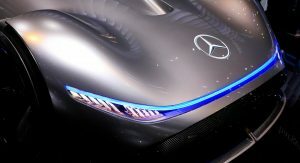 HOPEFULLY UNDER THE SKIN IT AIN’T JUST A GUTTED ICE.